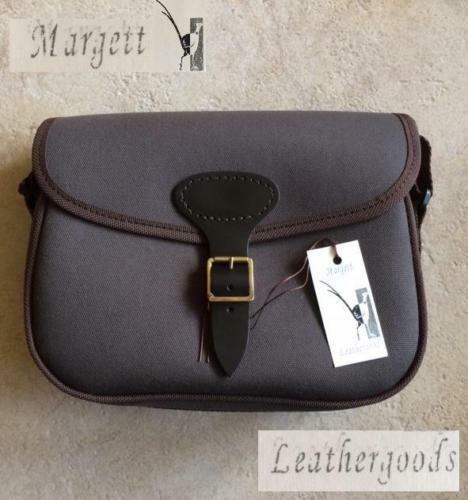 This Margett Canvas cartridge bag is of the highest quality. Rapid load style for easy access to your cartridges. Measurements W - 11" H - 8" D - 4"